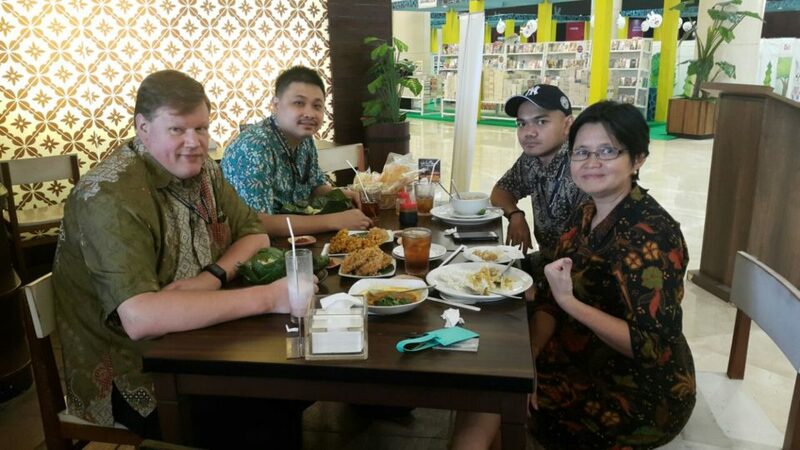 It is such a great pleasure for the Department of Food Technology, Bina Nusantara University to host the 2nd visit from Prof Koen Venema from Maastricht University, Netherlands as visiting professor (his 1st is 11-27 August 2017). For his 2nd visit, Prof Koen will introduce a new way of teaching (Problem-based Learning, PBL) in a guest lecture, scheduled 9 March 2018. Furthermore, he will not just deliver a lecture about new teaching method, but this method will be directly applied through several class meetings (in particular, FOOD6007 Food Microbiology) in order to bring interactivity to the classes. We are exciting to see this method in action, since PBL is one of several factor that boosts up Maastricht University to top 200 university in the world, although it is still relatively a new university (around 40 years). Thank you for the visit Prof Koen, we hope for even more fruitful collaborations in the future.